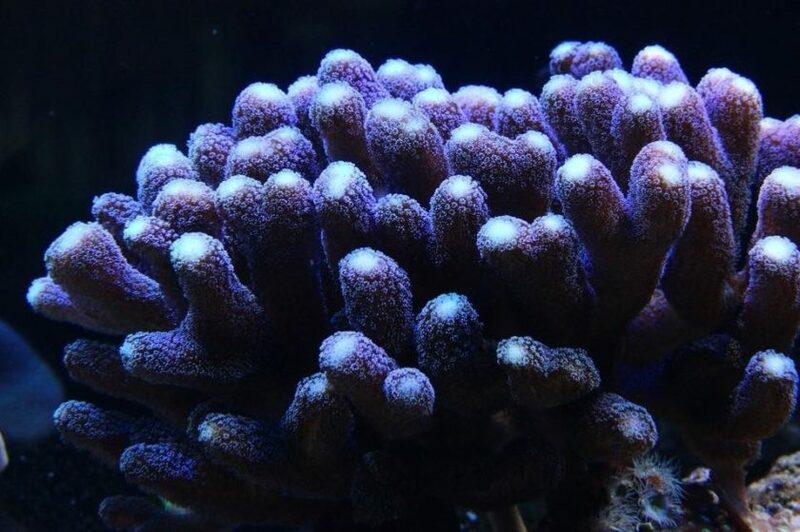 Stylophora can make a great addition to a mixed reef or SPS tank. A branching SPS, in the family Pocilloporidae, Stylophora species’ exhibit fast growth & are adaptable to varying conditions. In the wild these species can be found on reef fronts, enduring hight light & high wave intensities. Best kept in tank conditions where high light will induce brighter colouration & strong flow will encourage rapid calcification. At night, sweeper tentacles (<2.5cm) can be observed, though Stylophora species are non-aggressive & achieve dominance through rapid growth. Stylophora can be readily paired with many damselfish, in particular the damselfish Dascyllus marginatus has a mutual relationship with many Stylophora species, whereby the damsels gain protections amongst the corals’ branches & the coral benefits by utilising the fish waste. Come check out our Stylophora frags & colonies in store now!